I went on a trip with work this past week. 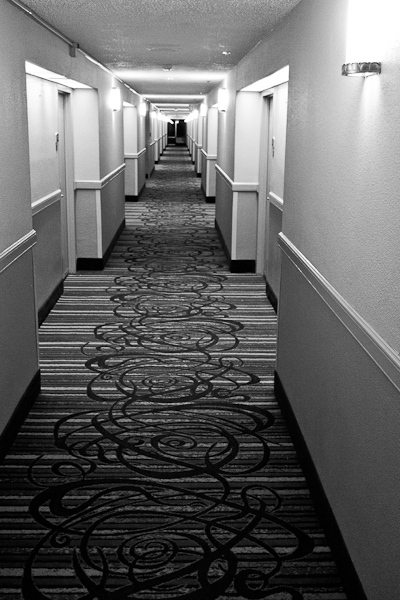 My idea was to make a series capturing the feeling of living out of a hotel room. My original intent was to make a diptych similar to what you would get out of a 1/2 frame 35mm, but I only got as far as one photo. Having only one photo, I almost cropped to 1×1 but in the end decided to leave it in 4×3 because that is how it was composed. On one hand I am disappointed, I know what I saw in my head that I wanted to capture but I did not do it. On the other hand I am satisfied with what I did with the time available to me.